Diamond America provides high performance parts and spares for their own extruders, as well as replacement extrusion parts for our competitor’s equipment. Diamond America manufactures quality, durable extruder parts that ensure continued, trouble-free operation. Refurbishment is carried out on extruder screws, barrels and associated extrusion equipment, such as cutters and mixers, from Diamond America equipment or from any other make of extruder. When an extrusion assembly begins to wear, production slows due to reduced material flow through the machine and process temperature increases. To compensate for this, screw speed has to be increased, resulting in even higher process temperatures that may then need to be reduced by barrel cooling. The overall result of screw / barrel wear is an inefficient extrusion operation and poor final product quality. 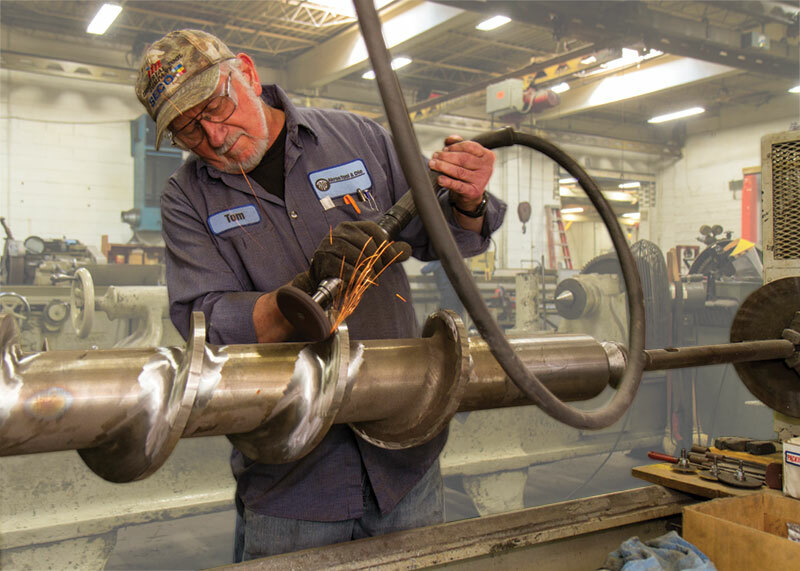 Barrel wear should be regularly assessed, using a bore gage, larger barrels are designed with replaceable wear liners to help reduce replacement costs. Extruder screws need to be inspected for wear, too, especially parts that are in high pressure areas of the barrel. Reconditioning can often be more cost effective than replacing screws. It involves grinding, re-coating and polishing of the flights to build up the screw to original OEM specs. Diamond America’s experience in metallurgy, combined with their extensive manufacturing capability, allows them to produce components of superior quality and increased durability. Complete machine assemblies can be refurbished as well. Using their expertise as an extruder replacement parts manufacturer and their knowledge of the latest available technology, Diamond America endeavors to provide high quality, long-lasting replacement extruder parts and equipment.